When my dear friend Ellen Kaufman shared her Monkey Bread recipe with me, over a decade ago, I did not make it. In spite of the fact that every single time Ellen served it the Monkey Bread was the first thing to go, I still did not make it. I was wrong! Phew, I feel much better now. 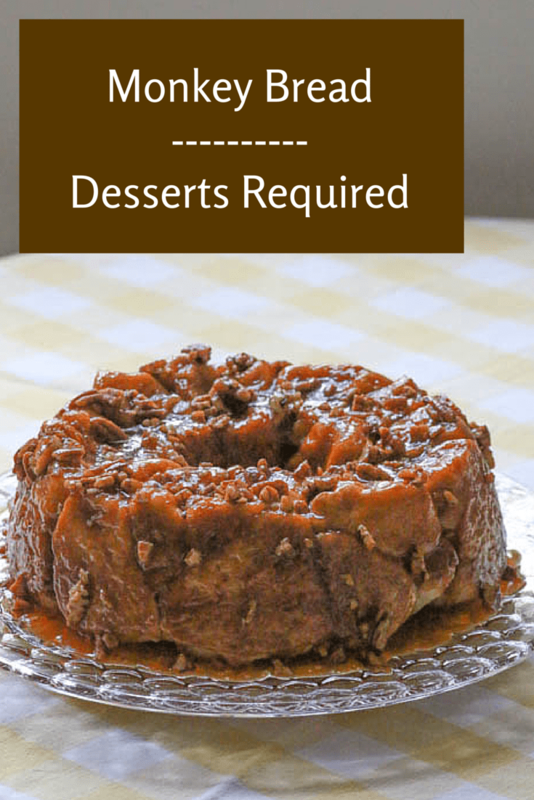 Why didn’t I make Monkey Bread? Because it contains a package of vanilla pudding mix. I NOW know how ridiculous this was on my part, but I was not raised eating pudding from a mix. It’s not that I was raised eating pudding made from scratch terribly often, although thankfully my Nana did make a wicked chocolate pudding, but my mom did not make it…ever. The idea of throwing a mix into a recipe just turned me off….UNTIL…. I hosted a brunch in honor of another dear friend Julie’s son’s Bar Mitzvah and needed something that would be quick and easy to make. The weekend was packed with wonderful events that prevented me from being in the kitchen; so, I dusted off the recipe and gave it a try. I even made two pans of Monkey Bread and guess what happened? My Monkey Bread was devoured as quickly as the batches made at Ellen’s house. As a matter of fact, it was a toss-up of which recipe was requested more: Ellen’s Monkey Bread or Foxes Loves Lemons’ Chicken Salad in a Jar! This, actually, made me so very happy. 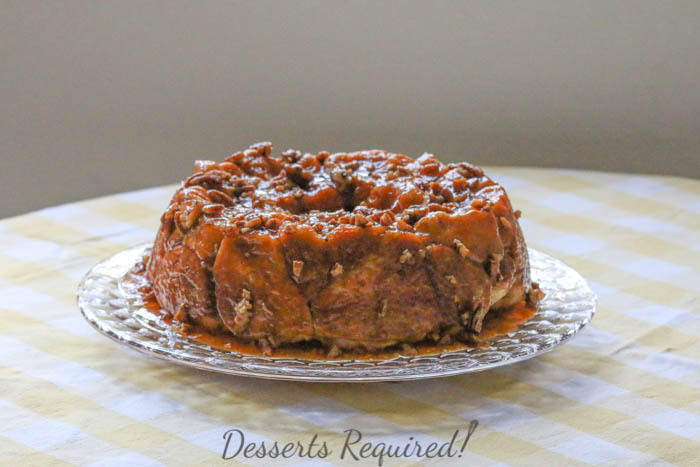 Yes, a tad annoyed with my silliness over not making Monkey Bread all these years but thrilled that I now not only know how easy and delicious it is but also that the vanilla pudding works beautifully in this recipe! So, do NOT monkey around here and do as I did for 10 plus years…make Monkey Bread for yourself, for your family and for your friends. Every opportunity is the perfect opportunity! Melt 1 tablespoon of the butter and brush the inside of a 10” tube pan with the butter. Melt the remaining 8 tablespoons of butter and set aside. In a small mixing bowl, combine the brown sugar, cinnamon and vanilla pudding mix. Set aside. Sprinkle the nuts on the bottom of the pan. Place the frozen dinner rolls over the pecans. Sprinkle the brown sugar mixture over the rolls. Drizzle the remaining 8 tablespoons of melted butter over the top. Cover the pan with a piece of wax paper and set aside at room temperature overnight. The next morning, preheat the oven to 350°. Bake the Monkey Bread at 350° for 30 minutes. As soon as the pan comes out of the oven, invert the Monkey Bread onto a serving plate and enjoy! Monkey Bread is at its best when fresh out of the oven. 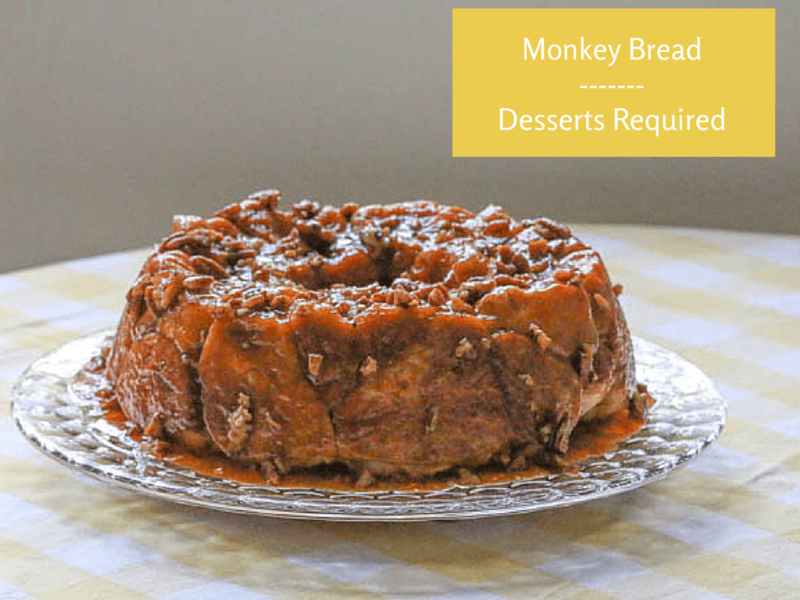 You may also bake the Monkey Bread in a bundt pan, just check the size first and adjust the recipe accordingly. Additional time is needed for the bread to sit overnight. You raised such great questions that I will answer them here as well as email you directly. I usually put together Monkey Bread somewhere in the 8:00 p.m. to 10:00 p.m. range, depending on my schedule. Then, when I wake up in the morning, I preheat the oven and bake. Funny you mentioned your overflowing pan. When I made a batch in my bundt pan, it did just that. I, then, realized that I should have cut back on the recipe to accommodate the smaller pan! The plate I used in this picture is one of my favorites. It is from Tiffany & Co. They do have some of the most gorgeous crystal plates around. 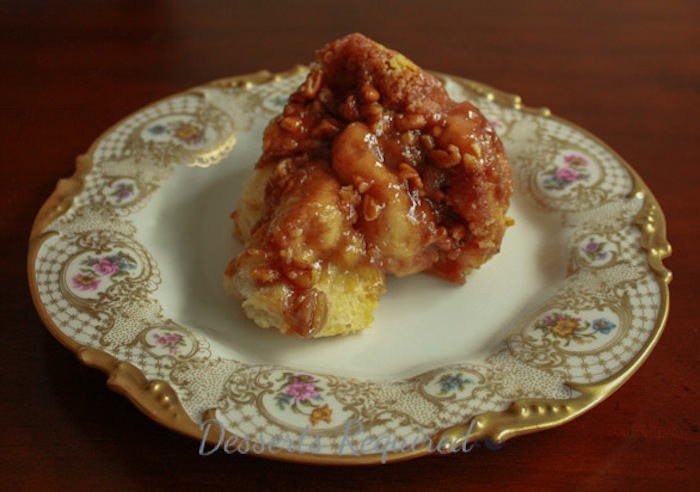 Enjoy making this Monkey Bread and I am sure it will look beautiful on whatever plate you use! So admire your culinary dedication and diligence in making all things (except monkey bread) from scratch!